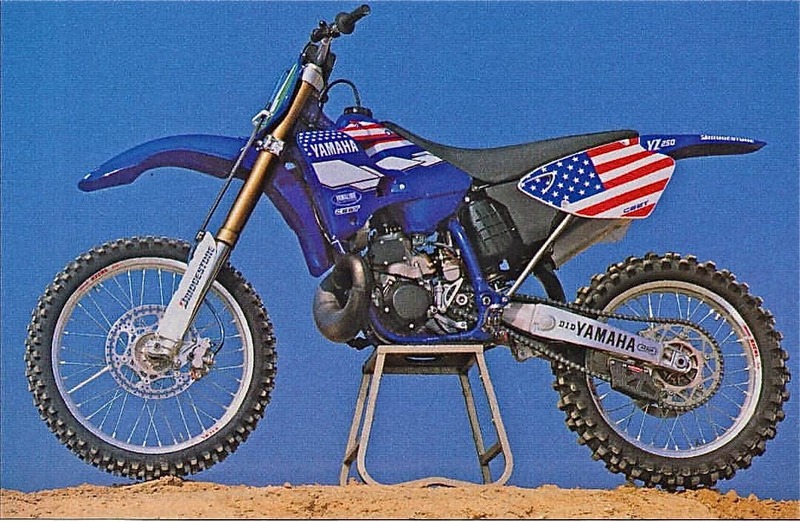 This article of John Dowd’s 1998 YZ250 was in the January 1999 issue of MXA. 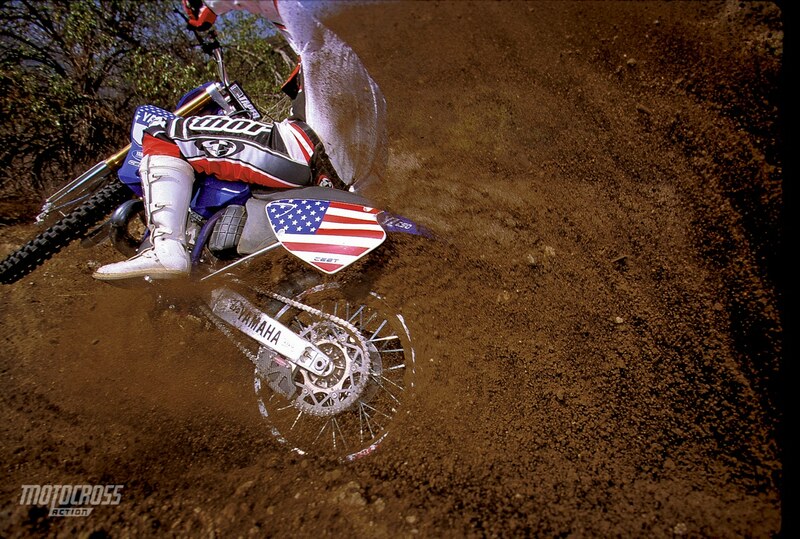 There was lots of talk in Europe that America didn’t send its best team to the Motocross des Nations in 1998. European pundits pointed to the fact that McGrath, Lusk and Emig weren’t on Team USA (largely because of injury), but they missed the point. For this event in England, on this track, in this kind of weather, John Dowd was the best man for the job. Dowd was the American mud master (along with teammate Doug Henry). Dowd, who was drafted out of the 125 class to ride a YZ250 in England, is an established 250 rider of considerable note. 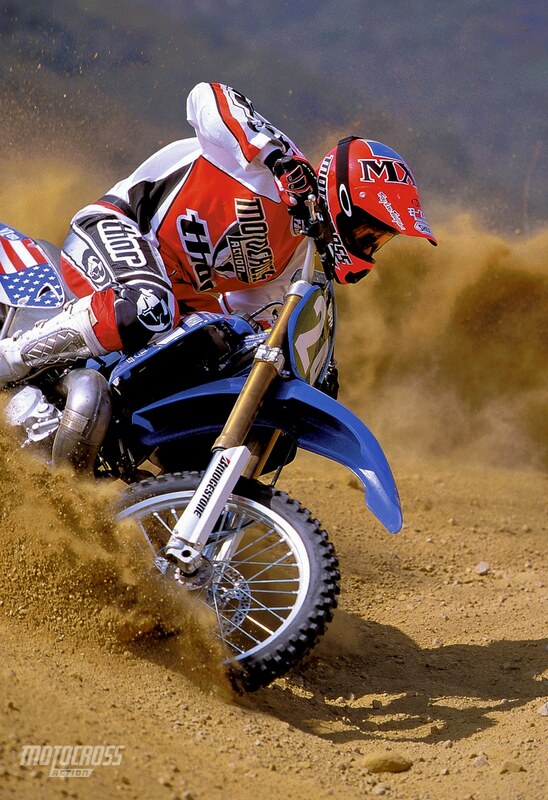 John Dowd’s factory Yamaha YZ250 set up for the 1998 MXDN in England. Yamaha has not risen to the top of the motocross heap, which is where they are today, by building fire breathing, arm stretching, top fuel dragster powerbands. Yamaha’s ticket to the big-time has been punctuated with broad, easy-to-use and manageable power. That it makes beaucoup ponies, while spreading it across a manageable range, is icing on the cake. 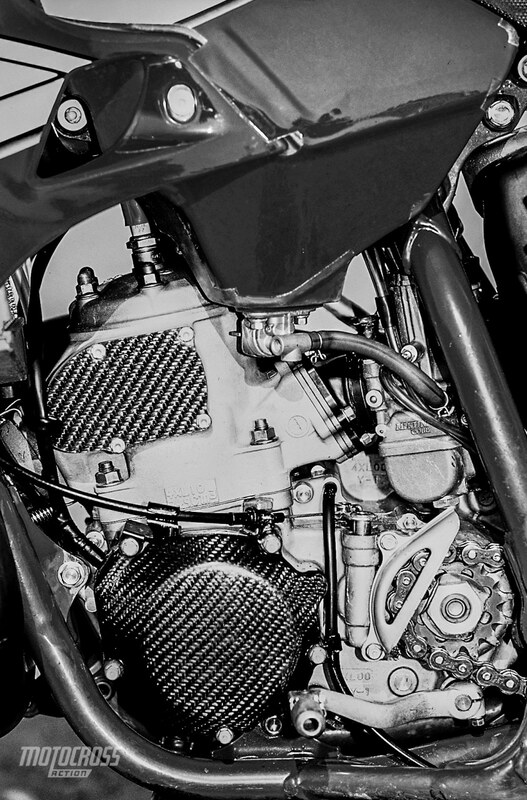 The engine of the factory Yamaha YZ250. 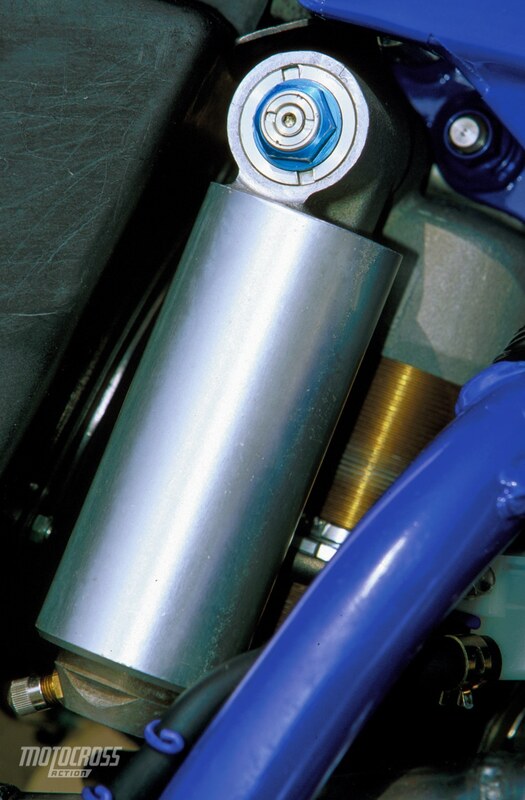 Just like Ricky Carmichael’s KX125, Dowd’s unleaded-prepped YZ250 gave away considerable punch to gain a wide breadth of usable power. 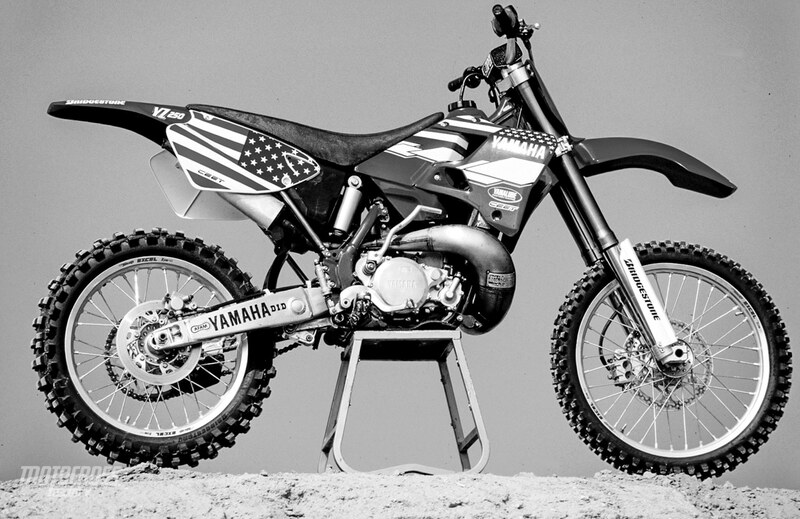 Dowd’s Motocross des Nations bike is by no means a rocketship. Soft down low, it climbs into the midrange with a steady gush of power. Most test riders found the midrange and up powerband to be on the flat side. Yes Virginia, it pulled across a wide expanse of rpm, but it didn’t do it with that roller coaster enthusiasm of a works bike. Instead, it droned out its power. Broad, easy-to-use, and manageable are often catch words for slow. Wrong! Dowd’s YZ250 moved with alacrity, but it did it with a metronome-style of power that didn’t register on the adrenaline meter. It was fast without being quick. Able to leap huge chasms without the take-off of an F-18. Swift to the first turn, without wheelspin or wheelies. 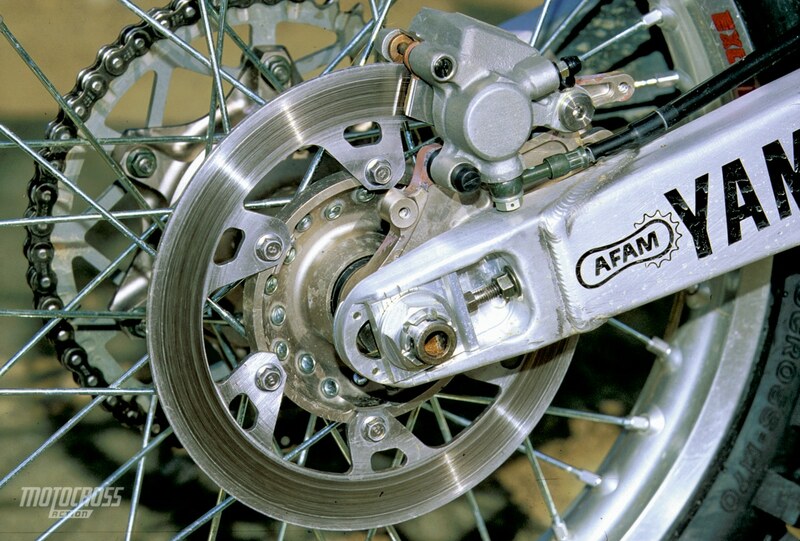 The workman-like powerband of John Dowd’s Motocross des Nations bike allowed the MXA wrecking crew to go fast–by reducing the sensation of speed to less fear-inducing levels. Dowd and Henry may ride for the same team, race on the same tracks and use the same brand of works suspension, but they don’t adhere to the same philosophy of suspension set-up. Dowd’s spring rates, rebound and compression were in the ballpark of mortal man. 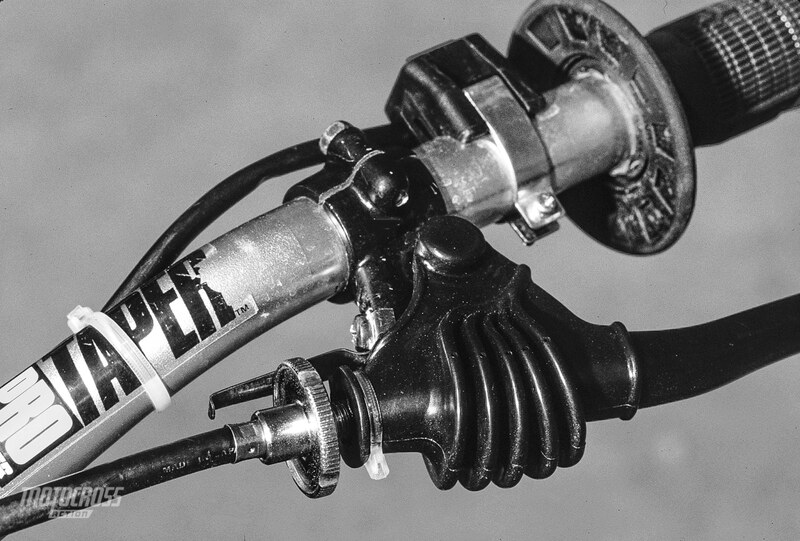 A wide variety of MXA test riders, who never agree on suspension settings, were of accord on Dowd’s Kayaba-equipped machine. It worked for everybody. 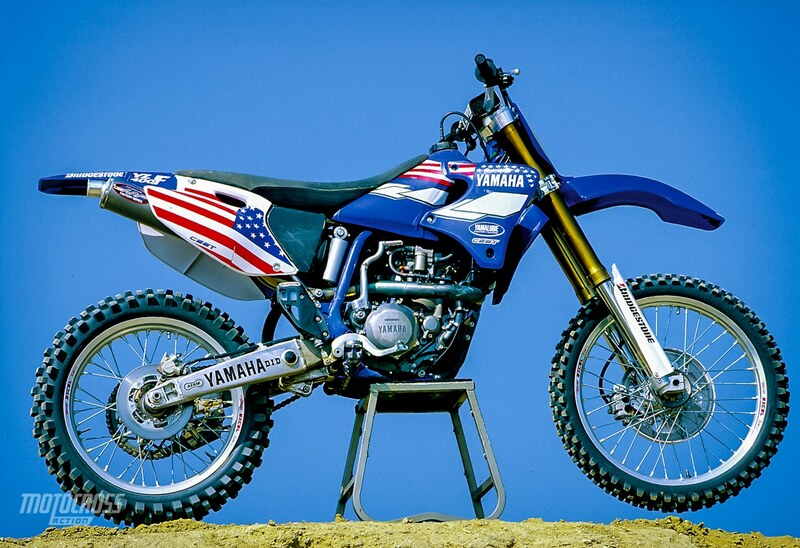 Team Yamaha’s two Motocross des Nations bikes displayed an amazing dichotomy of motocross development. They were less like brethren than strangers on a train. As exciting as Doug Henry’s bike was to ride, John Dowd’s was mundane. Doug’s YZ400 was a thoroughbred compared to John’s Clydesdale. Both horses have their place in the world, but given our druthers we’d rather be holding the reins of Silky Sullivan than Old Betsy. The solid rear rotor was used for the mud conditions. The factory Kayaba shock body.